A live English language video of the Royal Cremation. Most 24 hour-companies in thailand, closed theselves 10 hour today, because their staffs need to join the funeral. Amazing! I see the unity of half hundred-million thai-people on the road, today. Really! thai people in black dress on the road around thailand for our most beloved #KingRama9 cremation ceremony. 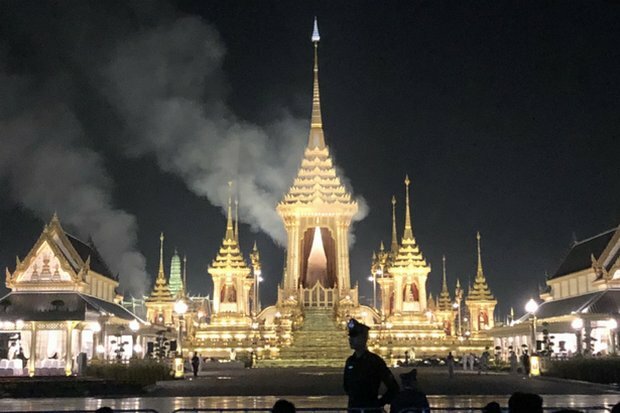 The royal cremation ceremony is prepared by thai government almost 1 year, because most thai people very expect for completely perfect funeral cremation that proper to the king's honor.